As this is my very first blog I wanted to begin with the basics of What hypnotherapy is and how it works. I hope by the end of the article you will understand the process of a hypnotherapy session with a client and have a better understanding around the mystery of Hypnosis. HYPNOSIS is a wonderfully safe natural state and is a consent state which a person allows themselves to enter.. All hypnosis is self hypnosis and is not a therapy, rather the therapy is conducted in Hypnosis which is called Hypno-Psychotherapy. It is a deeply relaxed state of heightened suggestibility (trance) which enables access to the subconscious mind. It is the key that unlocks the door in the powerhouse of thoughts, memories and emotions. A client ends up coming to me because this is having a real adverse effect on their everyday life and wants to gets the root of this problem and break this cycle of unnecessary anxiety. The subconscious takes what its told as true, so for example if you were told at a suggestive moment by a teacher/parent you were stupid then this creates a belief that you are stupid that is held in the subconscious and unless this belief is changed then the person will feel stupid all their lives. This belief will prevent that person from living their true potential out of fear … Our minds can be reprogrammed and rewired, unwanted suggestions removed and new positive ones planted.. The power of change is within everyone .. Awareness is the key and becoming aware of our own selves and whats holding us back can unlock the door to a happier future.. Some people have a belief they cannot be put into trance or are afraid of the hypnotist having control over their minds.. This is a misconception on both counts.. Everyone has the ability to enter into a trance. Everyday people slip into a natural trance like state when they become absorbed in television, or a book, even when driving. At all times the client is in control and can accept or rejects suggestions. It is always a consent state. At any time the client can come out of hypnosis but because it is such a profound relaxing state most people prefer to stay in it… Hypnotherapy is a proven therapeutic aid and is a psychotherapy treatment for many mental and emotional problems. Within Clinical Hypnotherapy you have suggestion therapy or Analytical Psychotherapy. Suggestion Therapy: Rapid and effective therapy which takes approximately 1-3 sessions. Used for simpler problems such as smoking, nail-biting, pretest nerves, weight loss, relaxation, confidence boosting, self esteem. Analytical Psychotherapy . This therapy is used to discover the causes of psychological problems. Hypno-analysis reveals and removes the cause and consequently relieves the symptoms. Excellent for anxiety. This is a much deeper level of therapy to get to the root cause once and for all. It usually consists of 8-12 weekly sessions. Think of cause and effect: every symptom must have a cause. Patterns within your subconscious mind, are often triggered and cause you anxiety. You don’t know why you are reacting the way you do. If there are deep-seated emotional issues that have not been dealt with and they are triggered in some way, by the subconscious that will cause anxiety to your body. The first stage is any therapy is the Consultation/Intake.. This stage is very important and the information I get from a client and give to a client will significantly influence the work and outcome. It will include basic personal personal and medical information, what the client wants from the therapy and set goals on how to achieve the desired outcome. Like a road map for the journey ahead. It is a very informative and worthwhile process for both the therapist and client. It also determines hypnotic suggestibility and whether hypnotherapy is the right choice for each client. The consultation process also helps me the therapist to choose the correct treatment approaches to meet the clients individual needs. The hypnosis/trance happens at the end of the first consultation session where the client gets a taster of trance and a recording to help with current issues. There are a vast number of methods is used to create the hypnotic state known as ‘inductions’. Once the client has entered into the state of hypnosis, then the clients trance is deepened, which helps to intensify the state of hypnosis, allowing the client to settle and become accustomed to the hypnosis process. During the above processes the client is brought to a profound deep state of relaxation. In the therapy I will work to help the client with the problem in the here and now then building resources and resilience and to ensure they’re ready for therapy. This will include a take home audio that the client will listen to at home as part of their own work. Depending then on the therapy and what tools are used to help with the therapy.. For example the client may need regression therapy to go back to the time of an incident in the past, release the emotion and free the client from the trauma associated with it. Every client is different, has different needs and different approaches will be used in therapy. Hypnotic suggestions are used throughout the hypnotherapy process as a whole, and within the treatment phase, I will often use ‘direct’ and ‘indirect’ suggestions to create lasting change. For example a Direct suggestions are more commanding and explicit, such as “let go of that tension… now…”, whereas an’ Indirect’ suggestions is more like “And you might find that your limbs feel heavy or light”. Many therapists will use both direct and indirect suggestions within a session. Another part of all Hypnotherapy is Ego-strengthening which positively benefits self-esteem, self-confidence, and sense of self, empowerment, building inner resilience. This helps facilitate the therapeutic process and can result in more effective and lasting change. Ego-strengthening approaches can either be direct or metaphorical because our inner mind loves stories.. The Client holds all the power with their treatment and as the therapist I am a facilitator in helping the client come to make positive change.. The Hypnotherapy I use is solution focused and it is a collaborative approach. The benefits and gains of the hypnotherapy work is enhanced by clients engaging in self work at home beyond the therapy session where the client having learnt self hypnosis can reinforce the new thoughts and behaviours and can bring about action. Client self work is a key part of the therapy and helps empower the client to keep the therapeutic changes. During each session the client develops the skills and attitude to be self-managing and self-supporting. The Client having been taught self hypnosis can use this into the future integrating positive change into their everyday life, thus developing lasting effectiveness. When the psychotherapy work in hypnosis has been completed, the client will become alert and fully aware as they are not asleep during this process. I will check in with how the client is feeling about the presenting issue and may book them in for another session, if appropriate. Alternatively, may schedule a telephone catch up to check in with the client at a later time. This enables me to ensure that the client is on track to achieve their therapy goal. Different clients have different issues and respond to hypnotherapy at different speeds. So, a hypnotherapy approach might involve just one session, or a number of sessions in order to reach a satisfactory conclusion. Furthermore, as therapy progresses, further or deeper issues may arise, which the client may not have been consciously aware of initially. 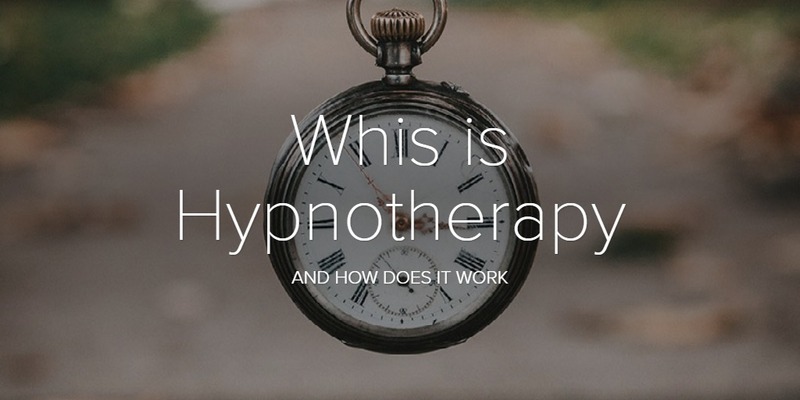 This is why during the intake session the client’s overall goals are established the goals and timeline set for that therapy.What is Hypnotherapy and how does it work? I hope you found this information beneficial and if you are interested in talking further with me, I offers a free 30 minute consultation to determine if the services on offer are a good fit for your needs. Focusing on wellbeing and overcoming both physical and mental limitations. Call 087 6797830 to schedule your free consultation today.